I'm not a huge fan of this marketing campaign, but it is indeed well crafted. Getting pretty excited. So COC is targetting 19 medals then... I think that is doable. Athletics: 6 - De Grasse in either the 100 or 200, Barber, Drouin, 4x100 relay (men), Warner, Brianne Theisen-Eaton. I don't think Bishop can beat three men ahead of her (sorry to be blunt). Basketball: 1 - Women's team. Canada can beat any team in group A imo, but Spain/Serbia/USA in Group B will set the tone. Boxing: 1 - With luck both women will need just one win to medal. Hopefully one can pull it out. Diving: 3 - Both women's synchro events and Jennifer Abel in the 3m individual event. Golf: 1 - Brooke Henderson (hopefully, but this is probably the hardest sport to predict). Judo: 1 - Again this is a hard sport to predict. However with three seeded athletes (Valois-Foriter, Beauchmin-Pinard and Zupancic) I believe 1 is possible. Others such as Reyes and Margdelion are young and have potential as well. Yes I predicted 0 for swimming, but realistically I see no medals for Canada in swimming. 3 golds, and 20+ medals in overall will be big success for Canada! Your predictions seem to be a tad optimistic in some sports but to be perfectly honest if the cards fall right we may have the potential for more chances (one of the men's rowing crews, Van Koeverdan or Oldershaw repeating, or as you said swimming). So it'll probably even out, with our typical Canadian luck in some sports. As as for swimming I think Canada has the potential to make the finals in many events and hopefully that will lead to a surprise medal somewhere. One of the young team members could be a breakout star. Which sport(s) do you think is optisimistic? Athletics: De Grasse could medal in 100/200 or he could not. It'll be close. The 4x100 will also be close, but I'd wager Canada is on the podium. Netty in women's long jump is a possibility (her performance at the WC last year would have been good enough for bronze in London. Too bad three women suddenly demolished their previous bests there. I'm sure nothing suspicious was going on though...). Agree with the rest, although I think Bishop has just as much chance as De Grasse to medal. Basketball: Agree, but again could go either way depending on how the playoffs shape up. Boxing: Agree, but what happened to Mary Spencer in 2012 who was so hyped and also only needed one win for a medal leaves me skeptical. Canoeing: One minimum, in my opinion. Cycling: I think you're being optimistic. W's team pursuit should be a lock, but our MTBers always underperform at the Olympics. Every year we seem to have a top ranked woman but so far only two have collected medals. But I'm optimistic in the other track events, and maybe Nyhaug can do something in BMX. Rowing: Agree, hopefully one or more of the other boats will compete for a medal, too. Wrestling: Three is optimistic, but it's not impossible. Swimming: I predict two. I think Cochrane is still ahead of most swimmers in the 1500m, and can compete in the 400m. Overholt might snag one, maybe someone else. We'll see. 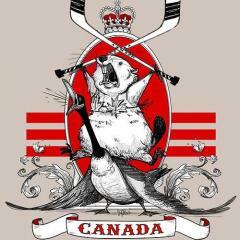 I think there could be several Canadians in finals, which is saying more than recent Olympics. I've said elsewhere, could be anywhere from 15-25 medals, but I predict around 20-22. That would be a very successful OG for Canada. Anything is possible, but I'm not sure any Canadian is a gold medal favourite in any event. Hopefully some can pull through, though. And then we hope for some surprises, too. Maybe beach volleyball, the Canadian team is ranked in the top 5. Just went through Sports Illustrated's medal picks. As usual, they start from "If there is an American in the event, they will get a medal. If they are good, they will get the gold". Also as usual, they totally forget about Canadians. 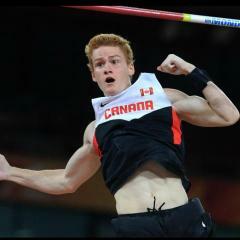 Overall, they predict 16 medals for Canada (4G 3S 9B), with golds in W's heptathlon, W's golf, 200m kayak and M's pole vault. Basically, when there's a good Canadian they throw them in for bronze. But I do have to say I was surprised by the 4 golds. No to: 100m/200m and everything else. Cycling: Yes to W's pursuit team (B). That's it. Diving: Yes to W's 3m synchro (B) and 10m synchro (S), no to everything else. Rowing: Yes to W's lightweight double sculls (S), No to W's eights. This is all possible I guess, and I suppose it's better to go into it with low expectations. But I'd be very surprised if Canada only got these medals. Though, again, four golds would be nice.